I provide up to date quality practical training to the standards required by DVSA to pass the current Standards Check. Driver and Vehicle Standards Agency (DVSA) introduced a simpler and clearer grading structure for driving instructors. The new ‘standards check’ does better assess ADI's on how well they meet the National Standard for driver and rider training, and how their instruction helps people learn effectively. The new standards check enables approved driving instructors to demonstrate their competence to deliver effective training. A high level of tuition can make a real difference in helping new drivers to become safe and responsible drivers. DVSA want all instructors to strive to achieve the new A grade. They also want to work with the driving instructor industry to identify ways that they can help top grade instructors to promote the higher level of competence that they have worked hard to achieve. DVSA want the Standards Checking Examiner to assess whether your instruction helps a person to learn in an effective way. So, during the standards check, the examiner will observe you giving a normal lesson to a real pupil. The form will give you clear and specific feedback about your strengths and areas where you can develop your competence. It is proposed to change the marking scheme of the check test, to incorporate the DVSA's vision of 'Client Centred Learning' into the check test. When implemented, the assessment competencies will cover three areas. Planning of the Lesson, Having a realistic lesson plan and suitable route that is appropriate for your pupil, and developing an effective strategy for overcoming shortfalls in your pupil's driving. Management of Risks, Ensuring safety on the lesson this includes being proactive with your instruction to prevent potentially dangerous situations developing. Use of Client Centred Learning / Teaching Strategies. It is will be well worth taking some training in CCL teaching techniques. We use a very simple 'Cause & Effect' based training programme, other types of course are available throughout Britain. Also, be aware of the contents of documents such as the GDE Matrix and the DSA Driver & Rider Training Standard. 0= No evidence of competence. 1= Competence demonstrated in a few elements. 2= Competence demonstrated in most elements. 3= Competence demonstrated in all elements. * Failure to identify weaknesses or inform the pupil a critical safety issue has occurred. A total score of 51 points is possible. The examiner has the authority to stop the lesson if you have put yourself or someone else in danger. DVSA are committed to implementing change in line within their policy of implementing 'Client Centred Learning (CCL) and the Goals for Driver Education (GDE) Matrix. 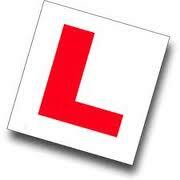 1-2-1 IN CAR ADI TRAINING £30 per hour.